The latest attempt to refresh the Halloween franchise will bring back Jamie Lee Curtis as beleaguered "final girl", Laurie Strode, which is great because more of Curtis is always a great thing. However, I have to admit to being confused by the unnecessarily messy timelines with all the sequels and reboots. Whenever Curtis talks about the film she acts as if it's the first time she's been back for the role when I distinctly remember Halloween H20 and Halloween: Resurrection. I get it, those movies are being ignored, but for a layman it can get confusing. Whatever, because there's genuinely good buzz surrounding what David Gordon Green is bringing to the venerable slasher series. It's something it hasn't seen even with Rob Zombie's much talked-about reboot a few years ago. 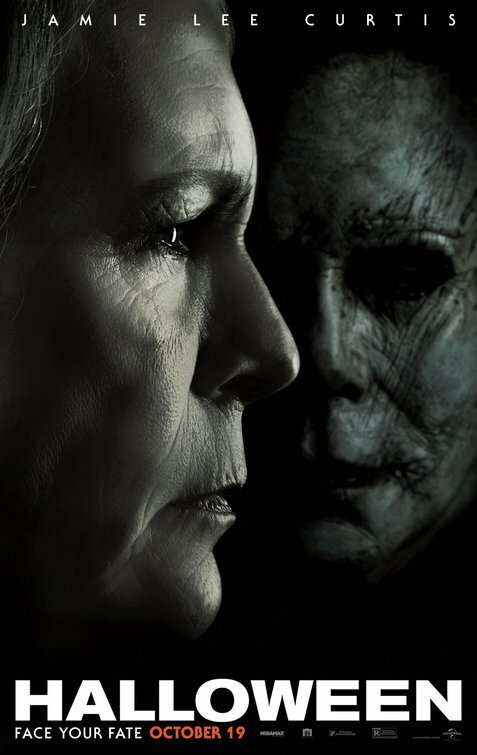 In this new Halloween film, Strode has spent 40 years readying herself for Michael Myers' inevitable return, so that she can kill him once and for all. Good luck with that. Judy Greer and Andi Matichak play Laurie's daughter and granddaughter, who obviously want to avoid being added to Myers' body count. And remember, the film was co-written by Vice Principals' Danny McBride and Jeff Fradley, so expect plenty of laughs. The footage they showed at Comic-Con looked amazing, following Myers as he stalked a neighborhood engaged in some trick 'or treat fun. Can't wait.